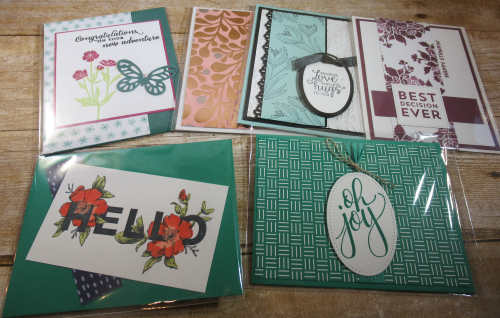 It’s always an exciting day when the Stampin’ Up Clearance Rack is refreshed. 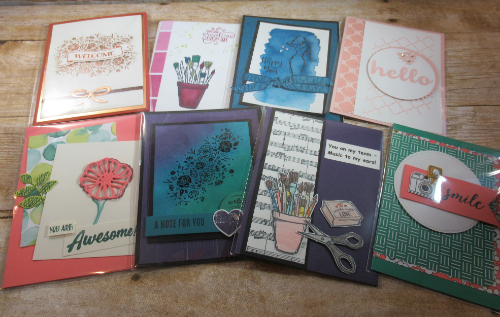 I’m a bargain hunter so I like to grab a bunch of the cardstock early because that is the first thing that sells out. 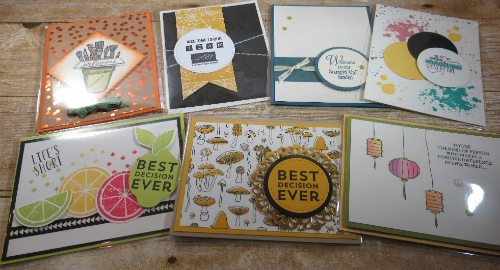 Discounts this time are up to 70% off – so you will want to run to my shop right now! 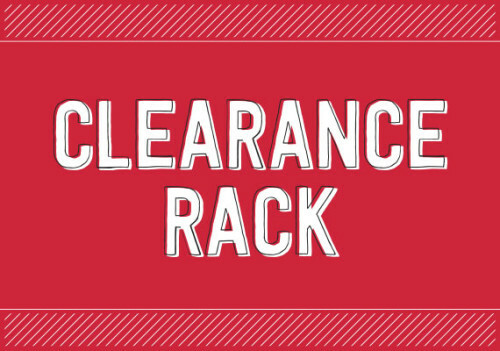 Did you know you can add Clearance Rack products to the Demonstrator Starter Kit and get an additional discount and free shipping? What a great Christmas gift to yourself and to everyone you touch with handcrafted thoughts! 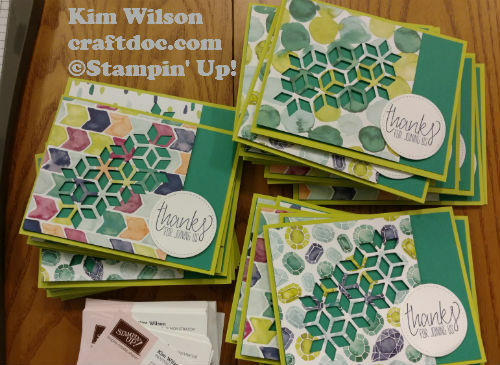 I love all the perks of being a Stampin’ Up! demonstrator. 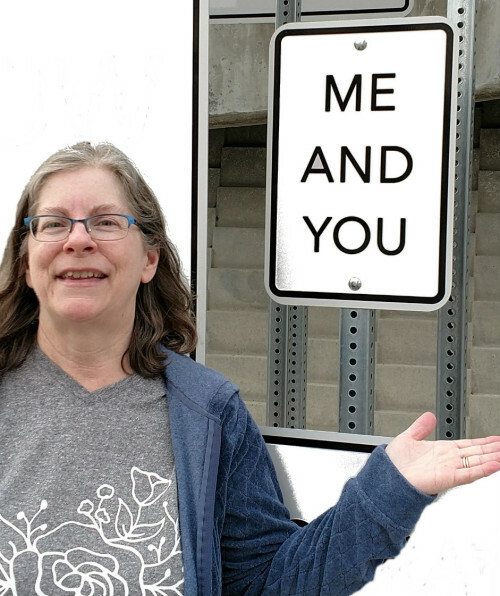 There is no obligation, so you can be yourself as a demonstrator! Check out the fun here. 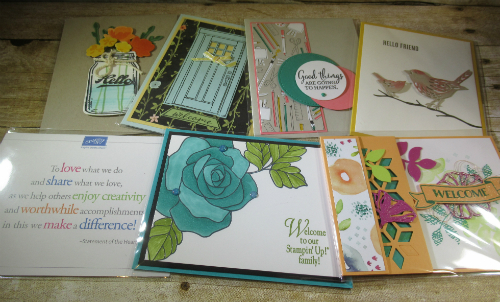 At the last Stampin’ Up meeting, I participated in a swap of welcome cards for new Team members.